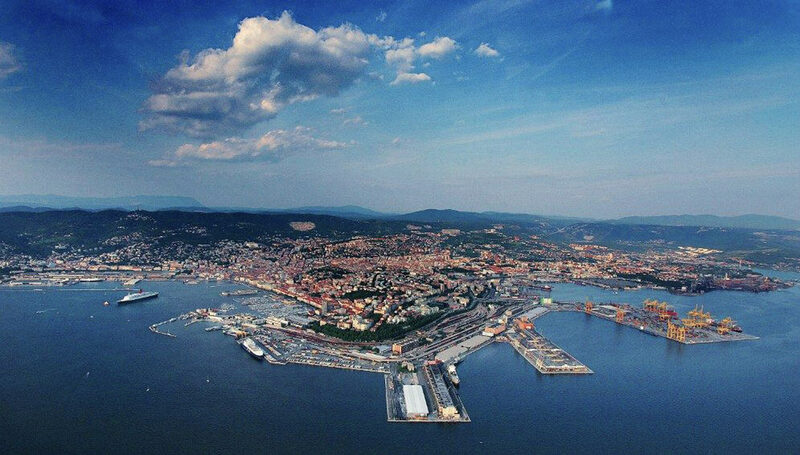 The area of Punto Franco Vecchio (PFV) of Trieste was created by the Imperial Austrian Government of the Austrian between 1875 and 1883, to enhance the potential of the docks of the Port of Trieste after the opening of the Suez Canal in 1869. 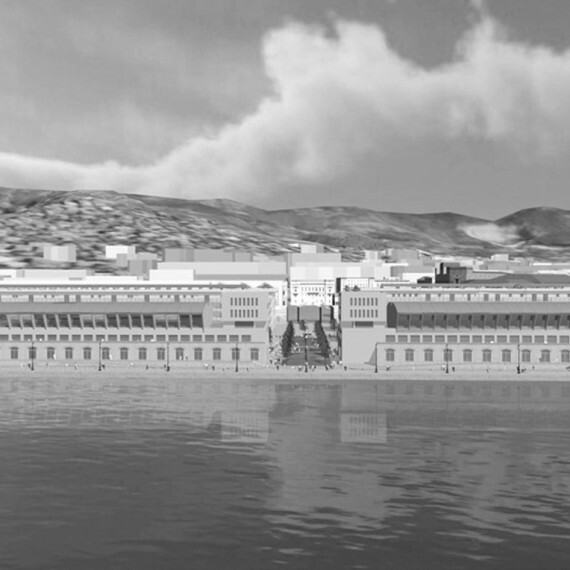 It was then one of the greatest efforts of modernisation of a commercial port in the Mediterranean basin. The structure of PFV, and subsequent modifications, has substantially retained unaltered its original structure, adapted for the transportation of goods and the linking of the piers and docks with national and international railway. This collection of warehouses have an historical and architectural value drawn from the era of ” industrial imperial” European nineteenth century as well as some structural and technological solutions that were very much avant-garde for that time. 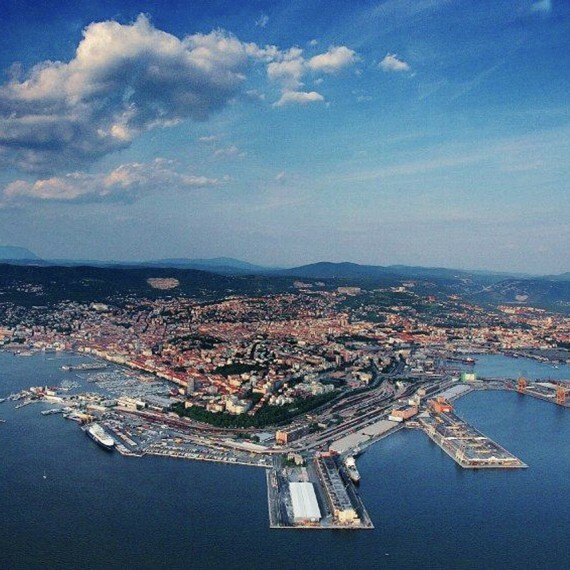 For decades, the PFV of Trieste has played a key role in the economy and the port and the Northern Adriatic, allowing a huge and intense exchange of goods with the markets of the South-Eastern Mediterranean and, through the Suez Canal, the East. The system of the Porto Franco has been favorable for maritime traffic, placed in the already unique geographical location and geopolitical port of Trieste. However, during the second half of the last century, particularly after the breakthroughs in storage techniques and the loading and unloading of goods, the PFV began to reveal a substantial inadequacy. 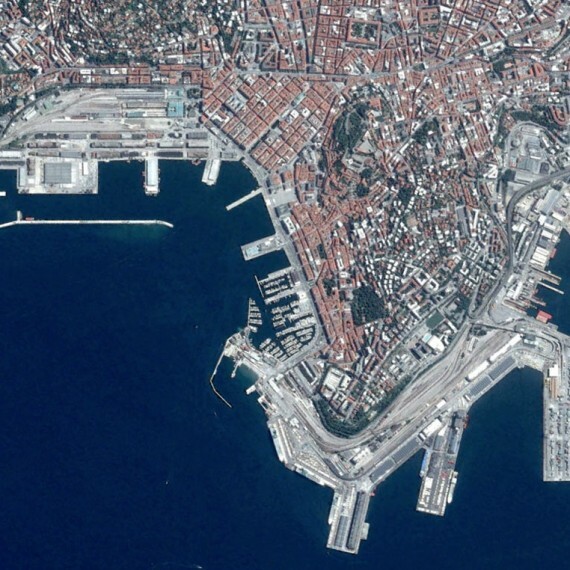 The commercial port of Trieste, looking for large areas of maneuver for carriers to transport containers and bulk goods, has in the meantime found new locations in the south-east the coast. Many of the warehouses of the PFV, now defunct, having suffered a progressive phase-out, until arriving to the state of almost total abandonment that characterizes today the buildings and the open spaces of PFV. This is a divestment that has been accelerating since the crisis that hit in the ’70s and 80s across the north-Mediterranean ports, unable to respond promptly to the new demands of maritime trade. 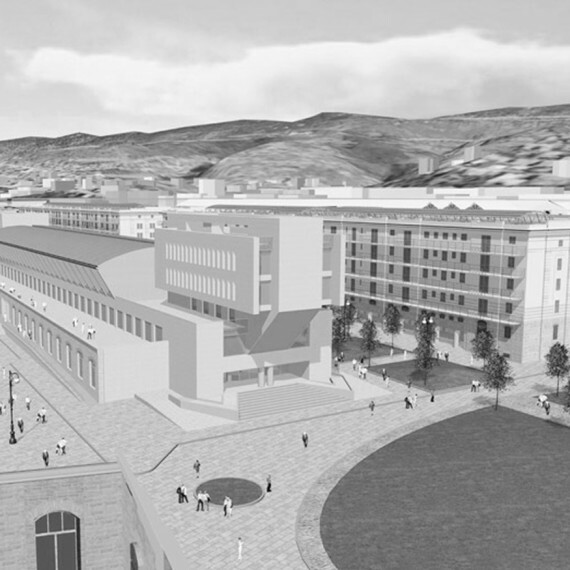 After years of neglect today, the new conditions of recovery of the port of Trieste, re-open the possibility of a dynamic modernisation of the Punto Franco. It is a rare resource in the urban landscape of the Mediterranean and European cities; a resource that has remained for a long time underexploited. 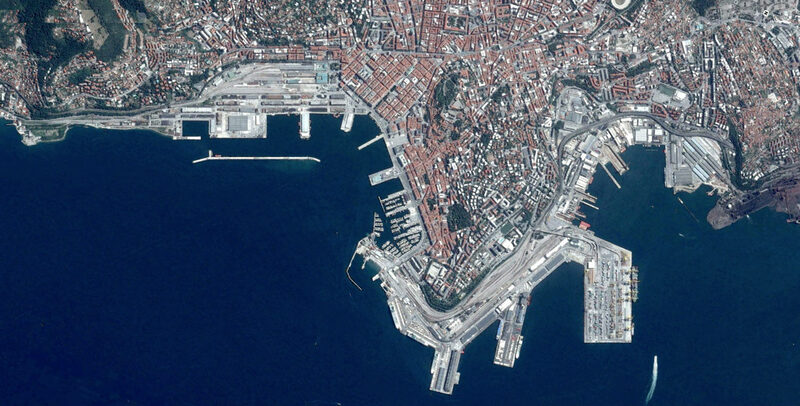 The general trend of Mediterranean ports has been to integrate more and more urban activities with the commercial port. 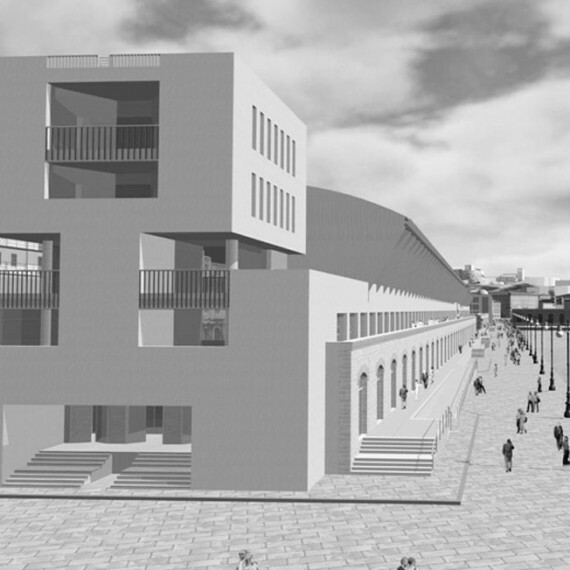 In this sense, the experience of the ports of Genoa, Venice, Naples and Ancona, represent significant precedents for integration of the port areas with surrounding urban zones. The model of this integration is derived primarily from the possibility of securing a port use related to commercial activities and services for passengers and on the other hand, other recreational functions. 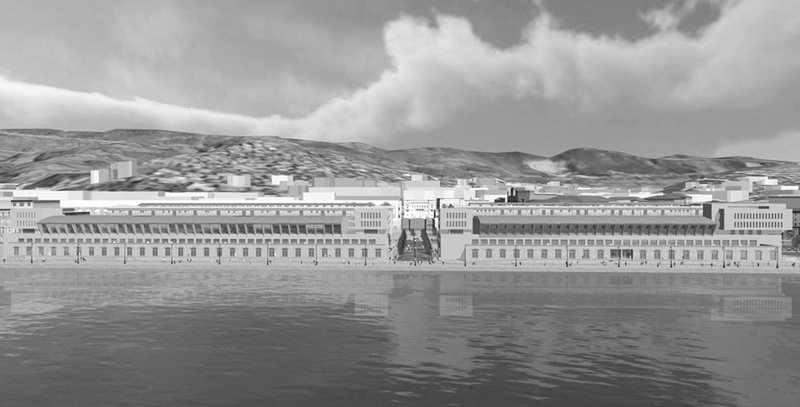 Today, in a relaunch phase of the port of Trieste, which is set to become a reference in the Adriatic basin, thanks to its ability to interconnect the European market with the traditional Mediterranean and overseas markets, the Punto Franco Vecchio returns to play a propelling function, characterised as an area of development for ideas, research and other port and maritime activities; the new PFV of Trieste will, in fact, play a complementary role the expansion of business activities in the south-eastern coast. 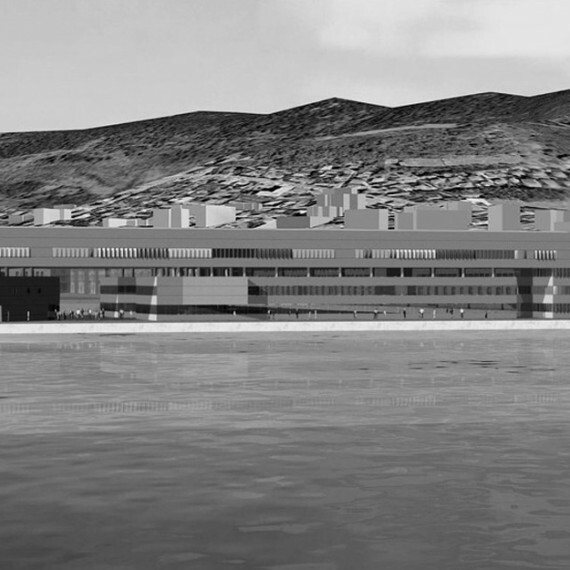 The Porto Vecchio constitutes a real “fabric”; a system which orders and enables the variations of its components, subject to certain general rules and it is thanks to this innovation that it has been able to modernise the use of space without losing its identity or its original structure. The PVF has a special spatial matrix, evident not only in the stylistic features of some warehouses, but in the set of rules and proportions that define it. The PFV has in fact been in the past – and potentially even today – a highly flexible portion of land. It enjoys a wide variety of accesses, can able to continually modify the connections between its artifacts and is still able to readjust to new functional requirements and new hierarchies of settlement. 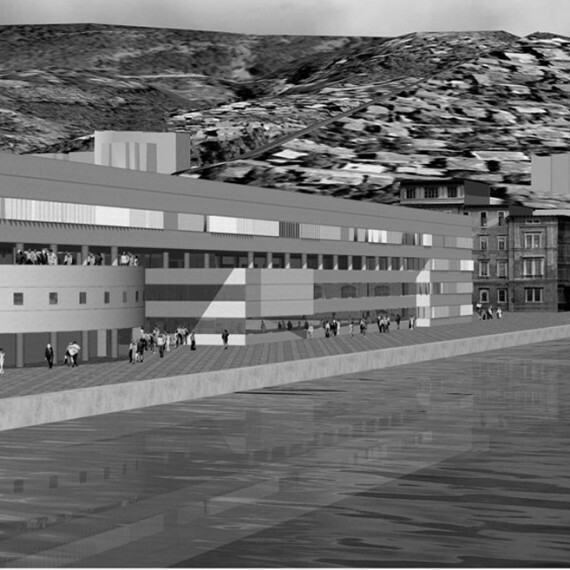 Once stores of goods, in the future stores of ideas, the PFV is a unique resource in the panorama of the city of water of the Mediterranean. Greensisam’s project, seeks to reinterpret and re-propose this system, materialized in evolutionary rules, measuring conservation and recovery with replacements and new edification. The idea of modernisation is not to delete the existing, but rather to reactivate the old, thanks to some grafts of innovation and to define ea new system of rules for the area. 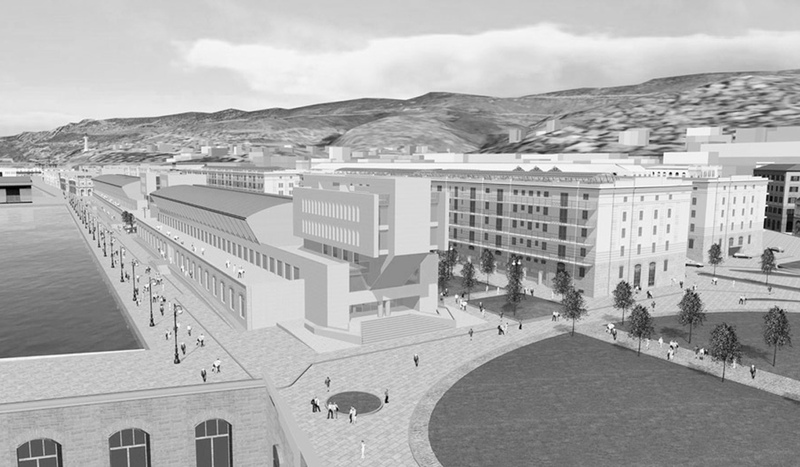 The masterplan incorporates the entire area that stretches from the sea, to the train station and the banks of Piazza Unità; a reorganisation and restoration of the double row of warehouses with a central pedestrian promenade and the shift of traffic (both roads and parking lots) parallel to the railway. 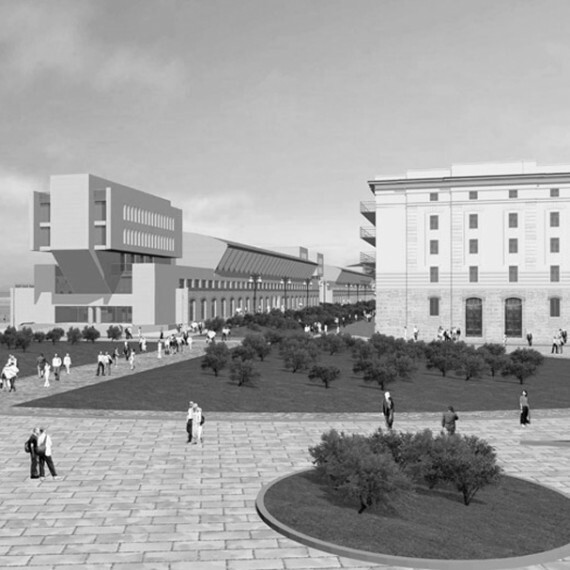 The project redraws and restores the extension of the city’s historic Piazza della Liberta’ to the sea. 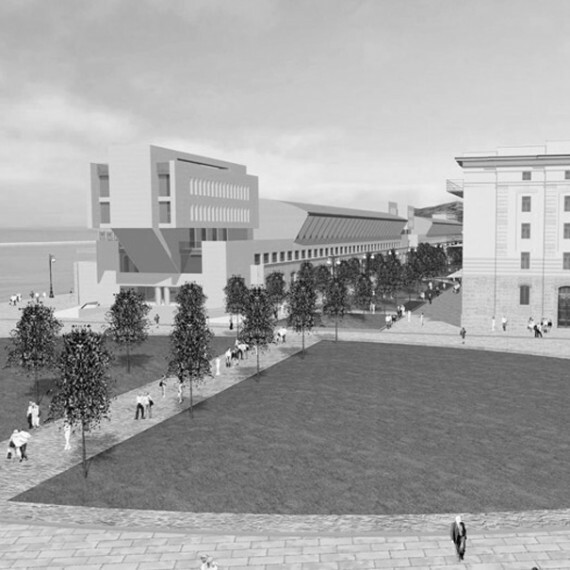 The new masterplan sees the reorganisation of access to the Old Port and the accessibility and reuse of the existing warehouses. The new buildings constitute an urban estate aimed at spatially affecting the broader context that includes an important part of the city. 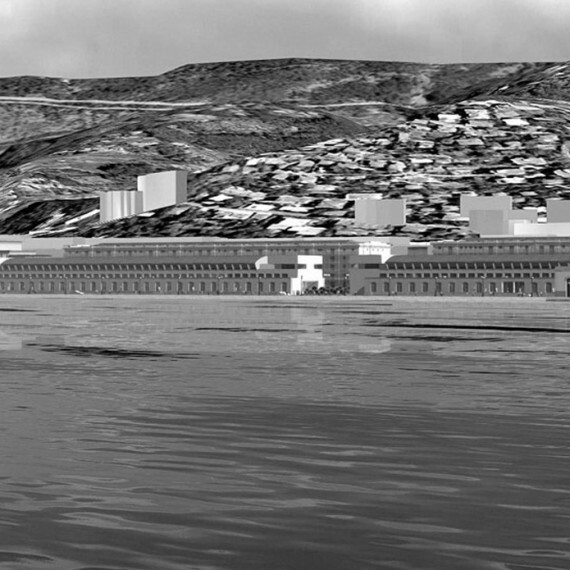 The ratio of urban spaces that are to be configured with the new intervention propose a different use of the city. 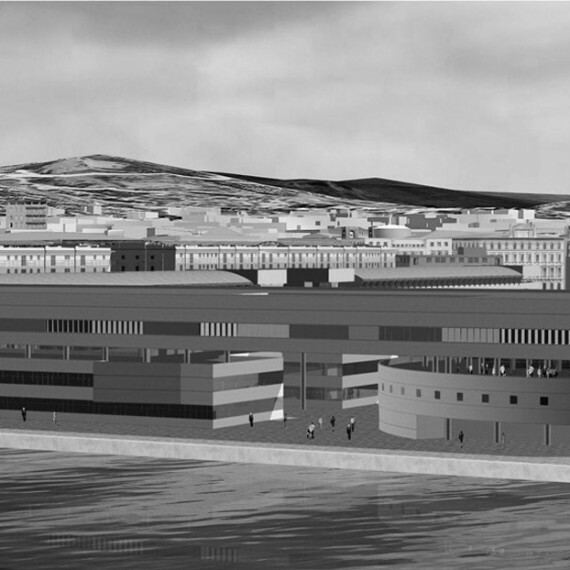 This place is a major articulation between the existing urban form, already consolidated in its block typology and the Old Harbour district intent on taking a role and a design quite unique in the morphology of the city. 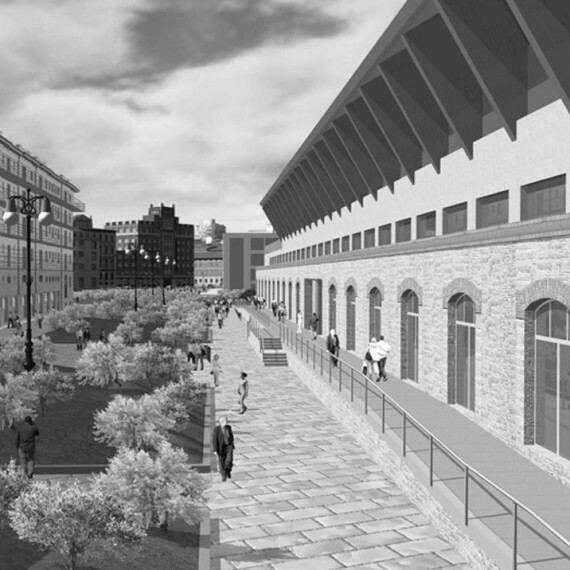 The new Greensisam project offers an exceptional opportunity to highlight the characteristics of this new neighborhood that will offer a unique and new, but also well-established image, in the building typologies of its extraordinary warehouses. This intervention is key to a new interpretation of a strategic urban space, too long waiting to be reshaped for its future. The development site is fully owned by Greensisam Real Estate Italy.